​Even in the upstart ​Alliance of American Football, Steve Spurrier is up to his old tricks. 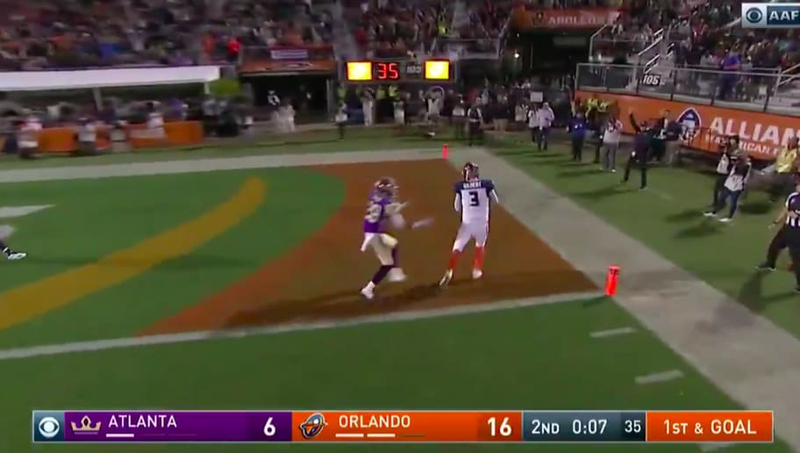 The 73-year-old Orlando Apollos head coach went deep into his bag of tricks in the AAF's inaugural game against the Atlanta Legends, pulling out what shall henceforth be dubbed "Orlando Special" in the Apollos' consummate 40-6 victory. ​​From the start, Spurrier had former Texas, SMU and Carolina ​Panthers quarterback Garrett Gilbert looking like Danny Wuerffel in the old Fun n' Gun offense. Gilbert threw for 225 yards and two touchdowns on top of his receiving touchdown. ​​Spurrier made sure his defense came ready to play, too, as they intercepted former Jets and current Legends quarterback Matt Simms twice, including a pick-six courtesy of Terence Garvin. ​​It's only one week into the season, but Spurrier's Apollos looked like a well-rounded team to watch in the fledgling football league. ​​After just one game, the AAF looks like a fun, yet still competitive appetizer before the main course of the 2019 NFL season. The early returns are also showing that Spurrier's Orlando side have a decent chance to take the inaugural league crown.